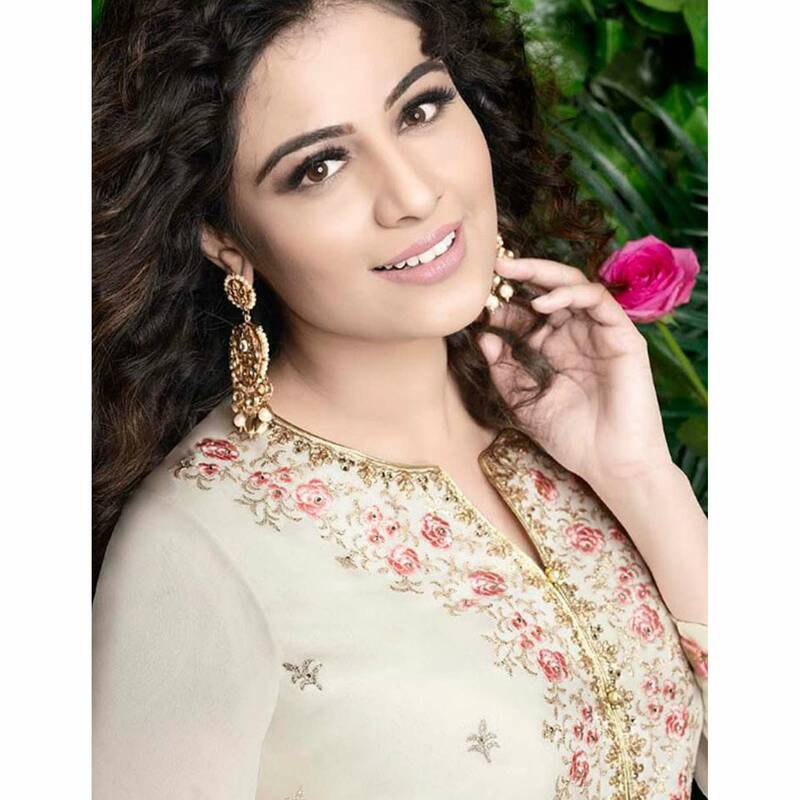 Fashionable lady would surely like to slip into this breathtaking off white colored palazzo suit designed using georgette fabric beautified with zari embroidery with stone work which is sure to match your choice. 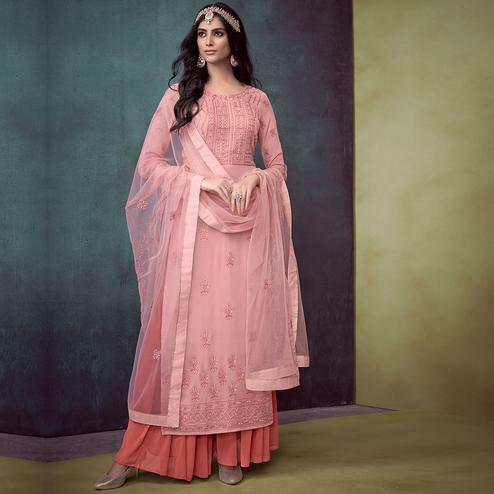 This suit comes along with georgette bottom, santoon lining and lace border chiffon dupatta. 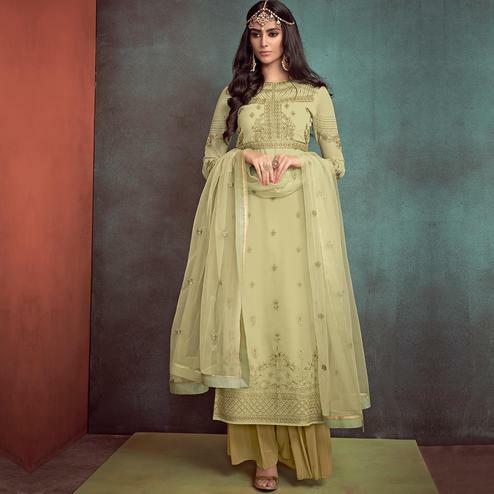 Specially designed to wear for parties, social get together and family occasions, where you want to be center of attraction. Team this with a pair of matching earrings and heels for the perfect look. This attractive suit will surely fetch you compliments for your rich sense of style.